This is a challenging project where most photographers start off strong capturing a daily photo, but then fade after about four or five weeks. It’s demanding and requires diligence, but it also prepares you to view the world with a heightened sense of awareness. You’ll become more attuned to your surroundings always on the lookout for a worthy photo to post. One of the best places to post your project is on Blipfoto which is designed specifically to accept one photo per calendar date. It’s free and the community is very supportive and complimentary towards its members. This resolution may not be fun, but the time and effort invested in organizing your photos will pay off in the long run. I organize my family images in an annual folder (Family Photos 2015) with numbered monthly sub-folders (01 January 2015, 02 February 2015…). This narrows the search based on the date of the event and saves a lot of time otherwise spent clicking and opening folders and files. “It’s not a question of “if” your computers’ hard drive will fail, but “when”. Save yourself a lot of heartache, dirty looks from the family, and endless self-loathing by making the effort to back-up and archive your files. Check out my Back Up Your Memories article for more detailed information regarding storage and archiving solutions. The internet is a great way to share your images with family and friends and there are lots of online resources to facilitate the publishing of your photos. Facebook, Flickr, Twitter are the “Big 3″ and they all offer options for sharing, posting, and adding comments. 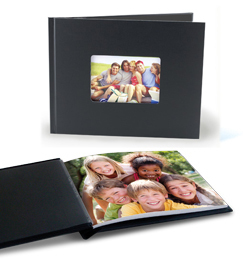 It’s a great way to share news of family events and to get feedback on your latest images. Just do it… You can’t take great images without a decent camera, and a cell phone doesn’t quite cut it. It’s certainly better than nothing, but a real camera will provide more creative options that will produce higher quality files and allow you more control over shutter speed, aperture, and ISO. Photo contests are a fun way to keep your creative juices flowing and maintain a competitive edge. The odds are stacked against you, and the judge’s choices often defy all logic, but it’s still a thrill to enter. Start out with contests that are free, but consider reputable fee-based contests that offer more prestige and recognition. Always be aware of what the rules require, and what rights the sponsoring organization claims when you submit your photo (usually Rule #6). Most newspapers also sponsor a “your best shot” type of contest that is easy to enter. The Seattle Times offers the Reader’s Lens contest that can be entered online here. Panoramas, black & white, infrared, pinhole, 3D… There is a wide selection of different techniques and effects that you can experiment with to keep the creative juices flowing. If you prefer to do something unique and different with pictures you already have on file, then I recommend purchasing The Photojojo Book. It contains treasure trove of creative DIY type photo projects that will keep you busy on those days when it’s just too bleak to go outside and shoot. The best way to learn or improve any skill is in a hands-on environment at the feet of a Master. You can watch all the YouTube videos you want, but attending a workshop is the most efficient way to hone your skills. I offer a series of classes each month on a wide variety of topics ranging from Basic Photography to Advanced Speedlite seminars. I also lead several “destination” workshops each year in various locales around the US. Check out the Workshops section my website (www.jeffreymgreene.com) for the latest updates. There’s your top 10 photography resolutions for 2015. I look forward to doing many of these items myself and hope you do too. Happy New Year!